Ingenico iCT220 - TSYS Network Only. 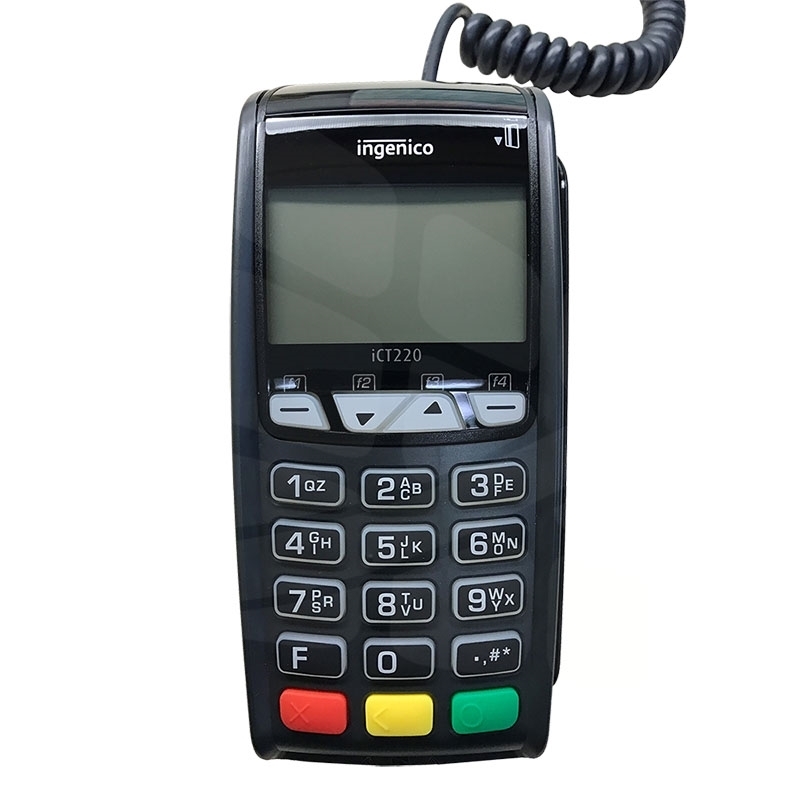 Lightweight and stylish, the iCT220 is the rugged, easy-to-use countertop devices that gives merchants the freedom to accept electronic card payments, with or without an interface with a cash register or POS system. 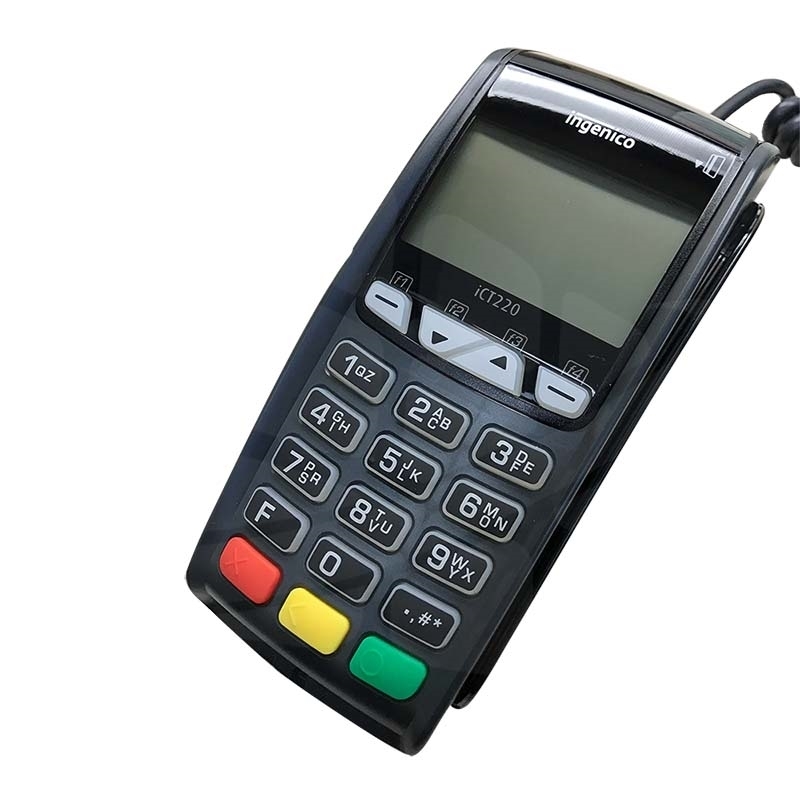 All iCT220 functions – from payment processing and receipt printing to settlement reporting– operate flawlessly from a single, secure device. 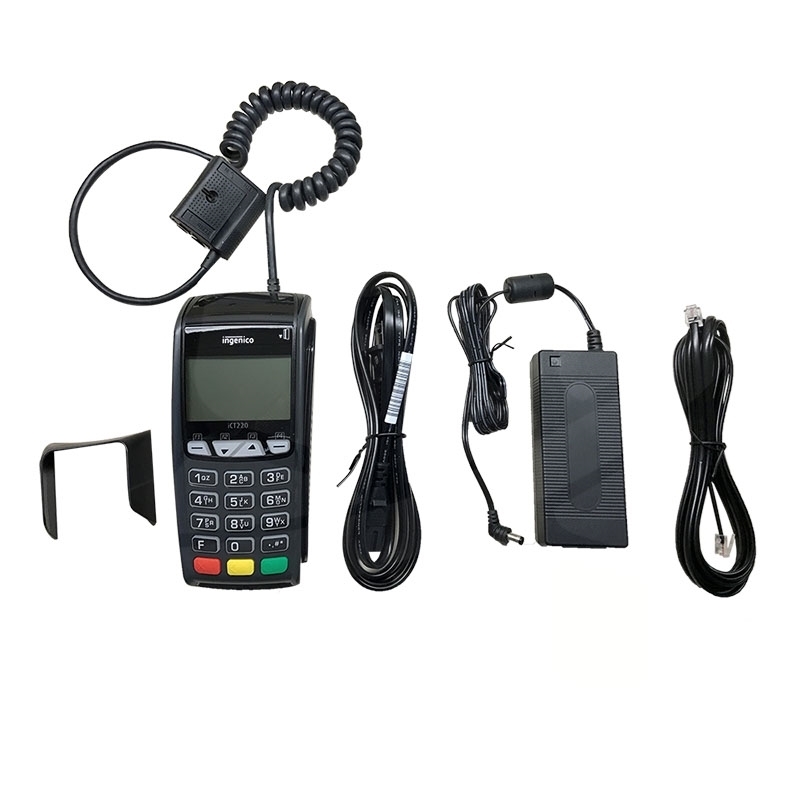 • Accept all electronic payment methods including EMV chip & PIN, magstripe. 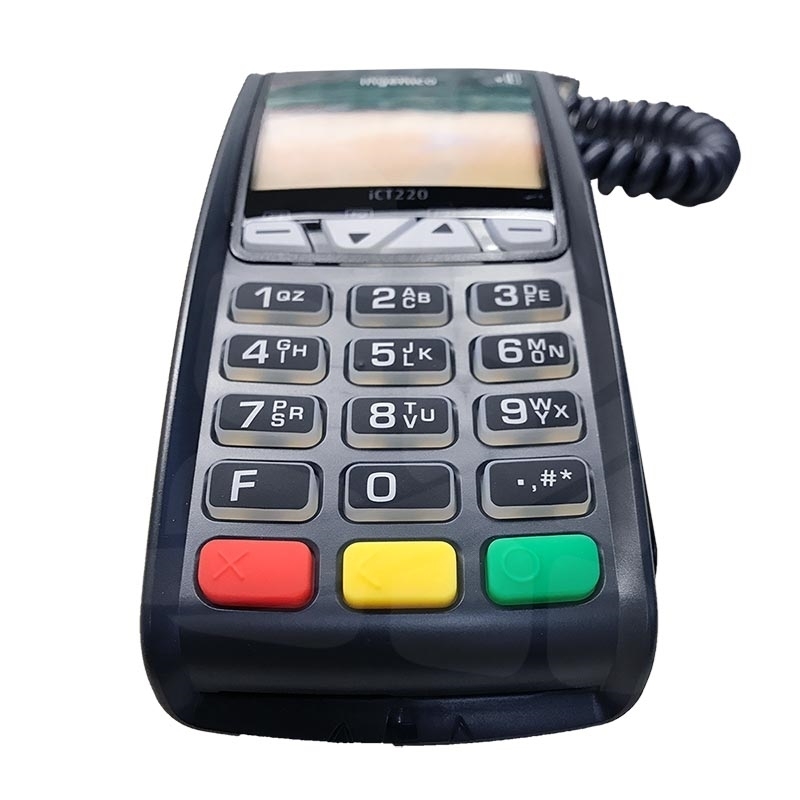 • The iCT 220 meets the highest security requirements and is PCI PTS 2.x and 3.x certified with SRED and Open protocol modules. Display: 128x64 pixel graphic | Black and white 2.7"